PPC SEO Services Edmonton AB Canada Cancron™ Inc. Your pay-per-click campaigns can get you qualified traffic that will buy your products and is an excellent complement to your SEO efforts. This is because you are advertising to people who are already interested in such solutions. Our digital marketing team has the experience and expertise to conduct effective Pay per Click campaigns that include Paid Search Advertising, PPC remarketing, social advertising, display ads and video advertising. We assist in the selection of the phrases or keywords that are closely linked to the products that you offer. We also help you in coming up with a good PPC budget and selecting words with the low competition but high search volumes. Moreover, we help you design a captivating ad that will attract a large number of visitors to click through to your website. Would you like to drive traffic to your site within a tight budget? Talk to us. Our teams are in place to help you earn a positive ROI through the Paid Search Advertising. We advise you on spending and develop targeted messages to make your advertising both cost effective and effective regarding drawing in of traffic. We look at your market; estimate the PPC completion and the search words frequently used by the target audience. We then identify the most used search engines and the costs of marketing with them. Finally, we put a strategy in place on advertising and a method of measuring the results from your efforts. There are clients that have been to your website and showed interest for your solutions. However, they dropped at some point in the sales funnel. You can re-engage with them to restart their buying process or get their feedback. The PPC re-marketing helps you turn the hot leads to actual customers. Our teams help you re-engage the clients through a set of targeted advertising. People who have shown interest in your products in the past tried the product or made an inquiry are more likely to perform certain actions than people who are at the start of knowing what you offer. Would like to boost your brand awareness across the social network, create loyal followers and qualified traffic to your site? Our social advertising team is at hand to develop a social advertising strategy as well as put in place key performance indicators and periodic targets. We have the tools to help identify social associations and select the groups and individual that sees your ads on their social networks depending on their association with your product, their work, and their friends. Over the years, we have helped a large number of businesses achieve their targets by quality social media advertising strategies. We offer a full solution that includes managing customer accounts on a daily basis, monitoring the bid prices and setting budgets that help our clients maximize their ROI. 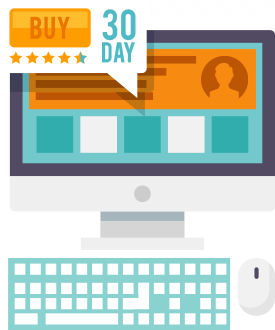 We make a strategy to reach all your interested audience depending on the product page they visited, the point of checkout that they dropped the product and what they avoided in your site. We also help you restart the conversation with people who may have performed an action such as sign up on your page and did not go further. These advertising methods have been proven to give a high ROI. We concur that each business has its unique needs and challenges. Thus, we have tailored an approach that helps address the needs head on using Pay per Click advertising. We work with the business at every stage of our solution and even go through the progress reports together to identify what needs changing.